Looking for paintball shops in the Twin Cities? One of the things you need to keep in mind when playing paintball is you do need a good amount of gear to participate. Action Packed Paintball does offer you all of the necessary gear you might require for rent, so if you are a first time individual playing the game than you don’t have to go out and spend all sorts of money to try it out. Chances are though, if you have been playing paintball for a good amount of time, than you want to have all of the gear yourself. This way, you can customize your equipment and you can know what to expect when it comes from all of the hardware that you own. 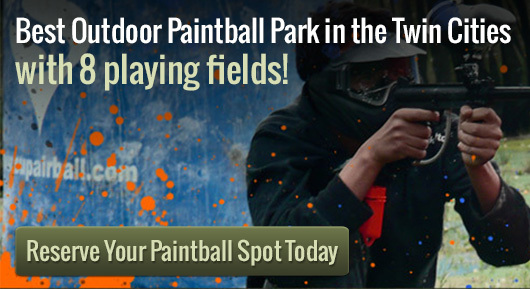 In order to locate the very best in paintball gear you need to visit the paintball shops at Splatball in Minneapolis. Splatball is our other location that is located in downtown Minneapolis and carries a huge selection of paint ball guns and gear. We are also able to make repairs and our experienced and helpful staff is able to help with any questions about paintball that you may have. Our paintball shops are able to offer you everything you need. Whether you just need more paint or you are looking for a new gun, eyewear or other gear, everything that is going to be necessary in order to play the game you are going to find it at Action Packed Paintball for rent or at our Splatball location. The hardware here is also of the very best price, so you don’t have to worry about spending too much on the material that you need with the game. When it comes to paintball shops, you need a location that is going to offer you all of the necessary gear that you might need to have an excellent time while playing. Although there are other shops out there, you are going to find that Splatball’s shop is going to carry exactly what you need at the very best price.